I have assembled the most frequently asked questions, (FAQ’S) that I regularly receive either by email or phone call. For a full prices breakdown Please View My Prices page. If the date you are interested in has no trip advertised, but it is marked as “Available”. Please Contact Us that we may discuss the options available. On a normal individuals day, I limit the maximum number of anglers to NINE. Three off each side of the boat and three off the back of the boat. If the whole boat is chartered for a single party of people, the maximum is up to TEN. No. The prices quoted are for the cost of the trip only. 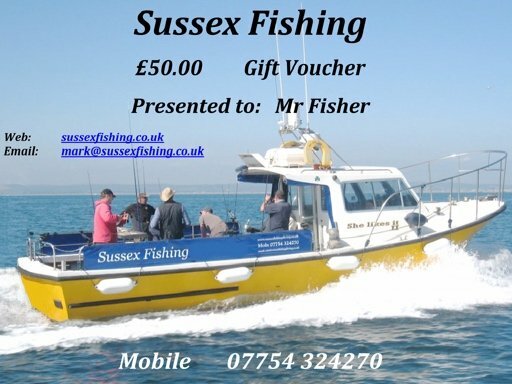 If you require fishing tackle I can hire this out at a small additional cost. I can also supply frozen bait at a competitive price. The parking is Very close. Almost next to the boat and it is FREE! Not at all. You are welcome to hire my tackle for a small charge. There are too many variables to answer that here. It will depend on state of tide, depth of water, size of bait, what rig you are using and the thickness of your main line. “Enough” Is the easy answer. But if you keep your rig as simple as possible and are using braid, 10-12oz of lead is usually enough when fishing inshore. If the trip is cancelled by us for any reason. (Usually the weather) You are welcome to have your deposit returned or select another fishing date.